Stricken NHS patients were left waiting for up to SEVEN HOURS on hospital trolleys leaving medics with no option but to say: “Go home if you’re not dying.” In a disturbing new low for our over-stretched health service, the Sunday People can reveal a hospital put a message over a Tannoy advising people to go home. Patients were told: “We would ask anyone who doesn’t have a life-threatening illness to go home and come back in the morning.” The extraordinary situation unfolded at the North Middlesex Hospital in Edmonton, north London on Friday night. Tonight a spokesman for the hospital confirmed they had to issue the mayday alert because 450 casualties arrived during one shift. One eyewitness who saw the chaos unfold said he witnessed more than 100 people in the waiting room. He said at one point there were a dozen patients on trolleys lining the wall along the department because all cubicles full. Many had been waiting on trolleys for several hours. 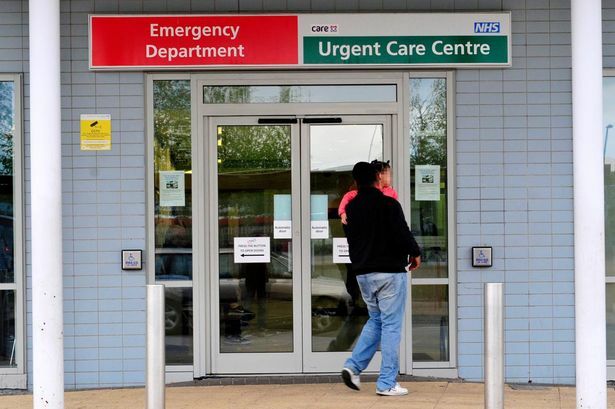 At 11pm a message went on the tannoy saying that the wait to see a doctor was eight hours for adults and six hours in children’s A&E, leading to disbelief among those there.